The year of the Twelfth Doctor has also been the year of incredible ratings for BBC America. Doctor Who finished 2014 with its highest rated season ever including over 2.3 million viewers on Christmas Day for the special “Last Christmas” episode. Peter Capaldi debuted as the newest regeneration of the beloved Time Lord alongside returning companion Jenna Coleman as Clara Oswald. Together the duo brought in an average 2.035 million viewers in Live+3, meaning those ratings also include DVR views. Capaldi’s first Christmas Special more than doubled the viewership of his predecessor’s first such episode, “A Christmas Carol,” in 2010. 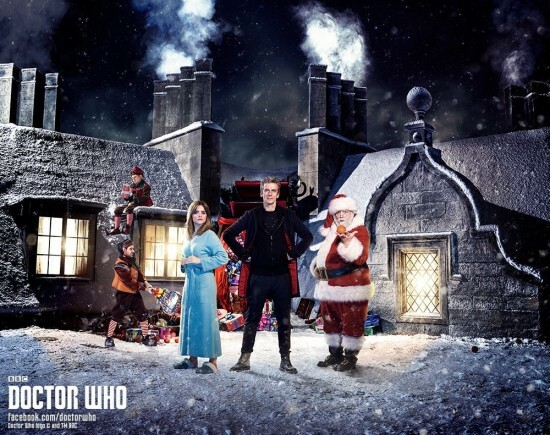 The Twelfth Doctor’s “Last Christmas” was the #1 show in all of Primetime television, excluding sports. Series 8 added fresh new twists and turns to the Doctor Who mythos including a reappearance by The Master, but not as we’ve ever seen him before. Michelle Gomez starred as Missy, a female regeneration of the Doctor’s old frenemy . 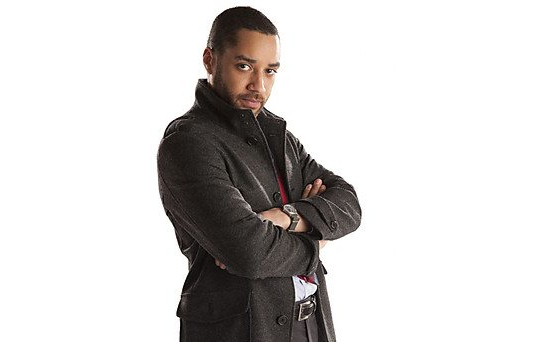 Samuel Anderson also had a touching and integral turn as Clara’s boyfriend Danny Pink. “Last Christmas” will be available on Blu-ray and DVD on February 17. Doctor Who will return for another full season in 2015. 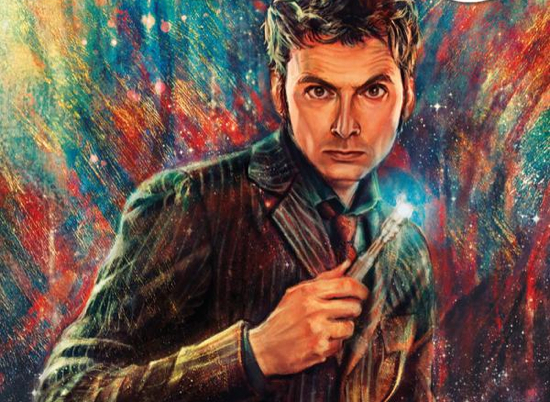 After a brief hiatus Doctor Who returns this week to comic books stores, this time courtesy of Titan Comics. Doctor Who‘s history in comics is pretty much as storied as the Television version, starting a year after the show debuted. The long-running UK published Doctor Who Magazine has been running comic strips based on the show since 1979. In the US, however, the Doctor didn’t see any four-color adventures until the mid-1980s with Marvel Comics reprinting some of the British strips. That was short-lived and it wasn’t until 2007 that an American published comic book was made available. Now the US gets the best of both worlds with Titan Comics being a British publisher, but with full distribution in the US. As if to reward us for our eternal patience this week sees the debut of two new Doctor Who comics with a third on the way soon. Here’s a look at the first two titles. Jane Tranter and Julie Gardner, part of the team responsible for bringing Doctor Who back to TV in 2005, have teamed up with The X-Files‘ Glen Morgan and The L Word‘s Rose Lam to bring a new original series to BBC America. Intruders stars John Simm, Mira Sorvino, Robert Forster, James Frain, Tory Kittles and introduces ten-year old Millie Brown. Based on Michael Marshall Smith’s novel, Intruders is about a secret society devoted to chasing immortality by seeking refuge in the bodies of others. It premieres Saturday, August 23rd on BBC America and the channel has provided a brand-new creepy trailer to get you ready. Most likely this will be paired with the return of Doctor Who and should make Saturdays full of sci-fi fun this autumn. ‘Doctor Who’ Casts Ben Miller as the Sheriff of Nottingham? 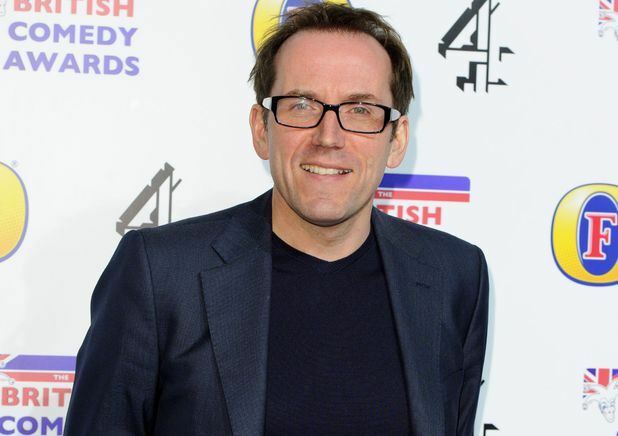 Ben Miller is set to star as a villain in a Doctor Who episode penned by Mark Gatiss. 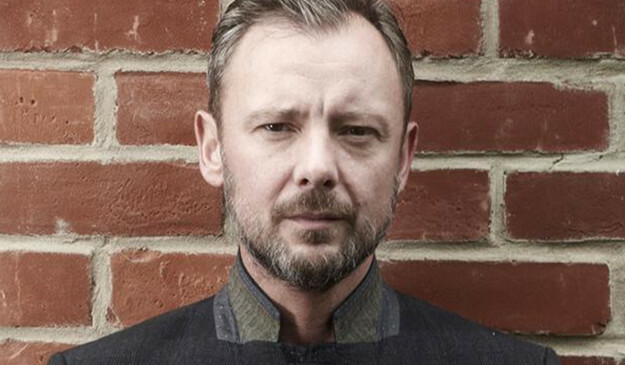 It will be the actor’s first role on the British juggernaut, which returns later this year. Rumors are swirling that Miller may be playing the Sheriff of Nottingham, or some Whovian iteration of the famous baddie. Last week, Tom Riley was cast in an upcoming Doctor Who episode and many are assuming he will be playing Robin Hood. The same rumors are naming other another recently announced guest star, Ian Hallard, as playing merry man, Alan-A-Dale. For now, BBC America has not confirmed any role for Miller, except as a “storming villain” to go against Peter Capaldi’s Doctor. Best known for being one half of the comedy duo Armstrong and Miller, the actor was recently seen in BBC’s Death in Paradise as DI Richard Poole. Interestingly, Miller’s comedic partner, Alexander Armstrong, already had a stint on Doctor Who, appearing in the 2011 Christmas Special as Reg Arwell. A new companion may be in store for the Doctor in series 8. Samuel Anderson has joined the cast of Doctor Who as recurring character, Danny Pink, in the new season. Like the Doctor’s (Peter Capaldi) current companion, Clara Oswald (Jenna Coleman), Pink is a teacher at Coal Hill School. Other character details have yet to be released but perhaps he will be following in the footsteps of Rory Williams and Mickey Smith as the companion’s guy back home who eventually joins the Doctor’s traveling team. Whovians around the world were treated to a team-up adventure of the highest order this past November when “Day of the Doctor” aired, marking the 50th anniversary of the long-running British sci-fi television show Doctor Who. 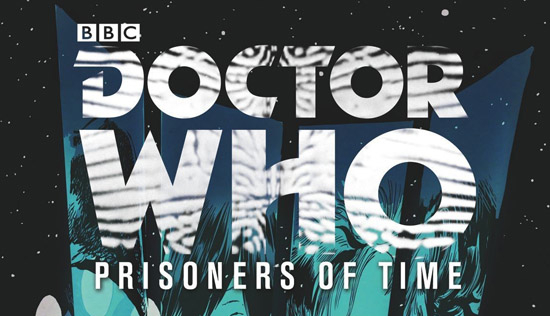 What many Whovians are unaware of, however, is that IDW Publishing (the current holders of the Doctor Who license for comics in North America) had their own plans to ring in the celebration with a 12-issue mini-series entitled Doctor Who: Prisoners of Time. Writers Scott and David Tipton (no strangers to sci-fi in comics with their numerous Star Trek series for IDW) take great care in including as much of the Doctor’s past and various incarnations as they can fit; while a different artist draws each issue. This may turn some of you away as there are some people who prefer to have the same creative team throughout a series, but let me assure you that the different art styles do nothing to take away from the story. It should be noted that not all Whovians will enjoy this story. The die-hards that are familiar with the classic series and Doctors One through Seven will undoubtedly gobble this series up, whereas fans of only the current series will likely scratch their heads during the first batch of issues. If you fall in the latter category, I’d still recommend this series for you as a nice introduction to the Doctor’s colorful history. One last thing for you back-issue hunters out there: yes, this story has been collected in two trade paperbacks with a hardcover coming along soon; but getting your mitts on the individual issues will net you another treat, which I’ve collected for you to see below. As far as comic covers go, you can do a lot worse than the talented Francesco Francavilla. In any case, once you’ve experienced this centuries-spanning tale, I’d love to hear what you think of it. Happy reading! The new era of Doctor Who officially began today as Peter Capaldi stepped aboard the TARDIS full-time. Cameras rolled on the first episodes of season 8 and BBC America passed along the above photo along with a few words from the new Doctor as well as Lead Writer Steven Moffat. Joining Capaldi is Jenna Coleman, who returns as companion Clara Oswald. Note that this photo does not show the Doctor in his new costume. That will be revealed at a later date. Expect all kinds of news and photos from the new season throughout the year. On Doctor Who, the very popular and long-running British Sci-Fi series, Time Lords come and Time Lords go. Such is the way of things. And this Christmas another Time Lord is going as we say “Goodbye” to Matt Smith, one of the most popular Time Lords in recent memory. 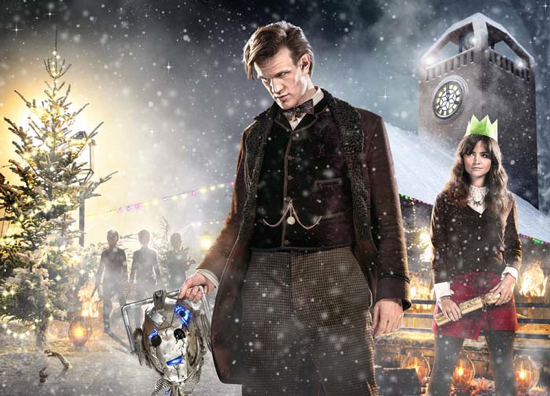 To get you ready, BBC America released a full trailer for The Time Of The Doctor special set to run on Christmas Day. After over three years in the role, the special will mark the last appearance of Smith when the 11th Doctor is regenerated into actor Peter Capaldi, who will take over the role as the 12th Time Lord. Check out the full trailer after the break. So long Matt Smtih. You will be missed.